Montreal did indeed experience quite a weekend. First former Montreal Canadien Patrick Roy's Jersey was raised to the rafters at the Bell Centre. Then the Alouettes hosted the Grey Cup at the Big O. And in keeping with being a gracious host, they let the Calgary Stampeders win. 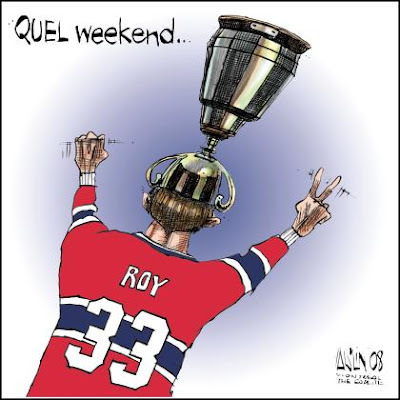 Montreal is the closest thing Ottawa has to a professional football team.